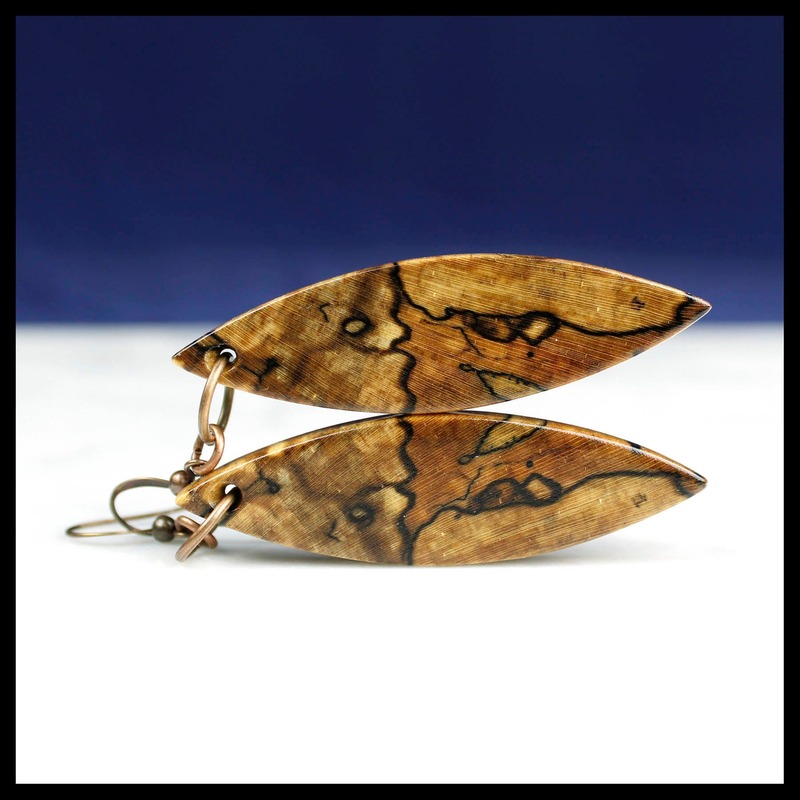 Matching spalted wood earrings, lovingly handcrafted pairs of wood dangle earrings. 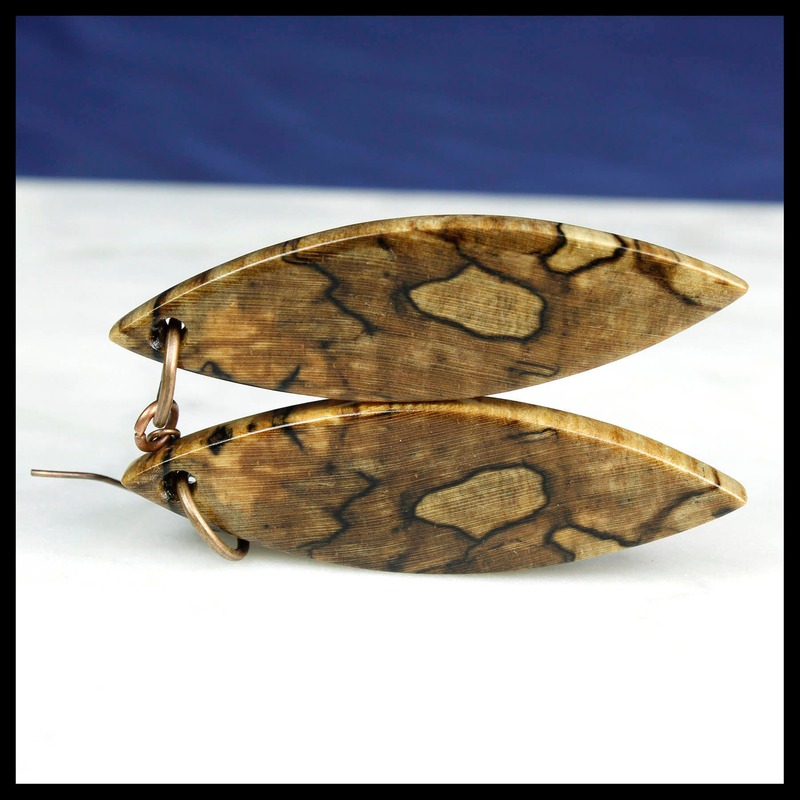 We hand make each pair of these beautiful earrings to maintain the matched and mirrored pattern present in the wood. 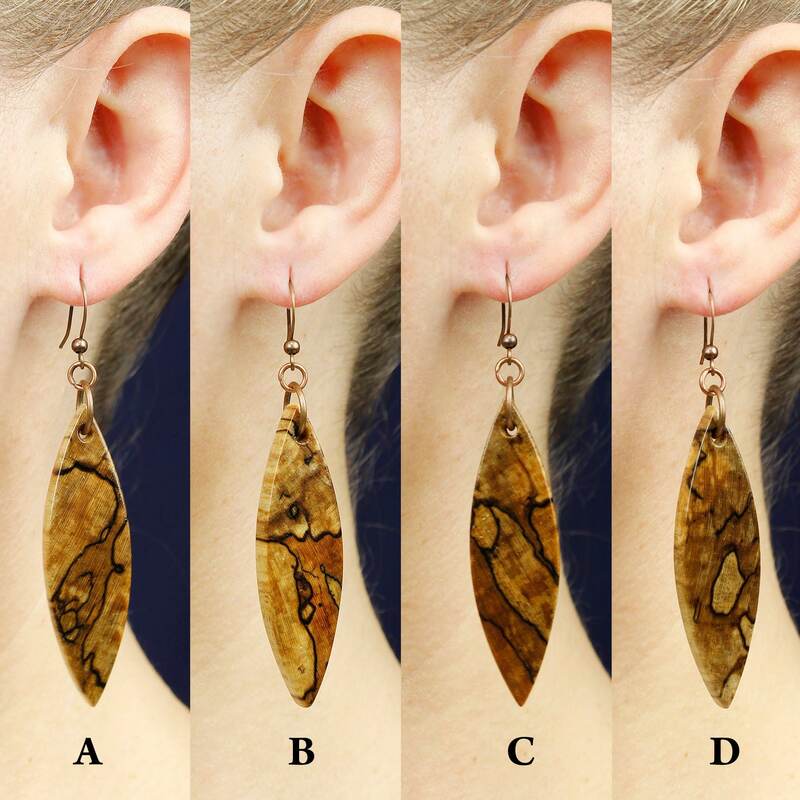 • Please use the labeled photo above to choose the pair you love. 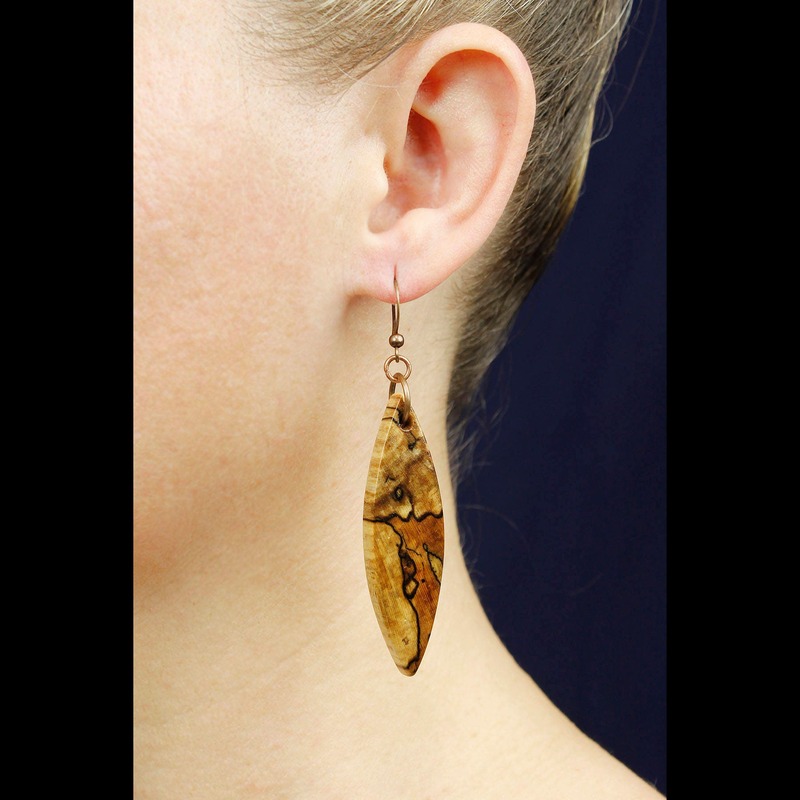 • We create our wood earrings in small batches, often pairs of earrings will have a mirrored pattern, called book-matching. • Ready To Ship! NO Waiting! 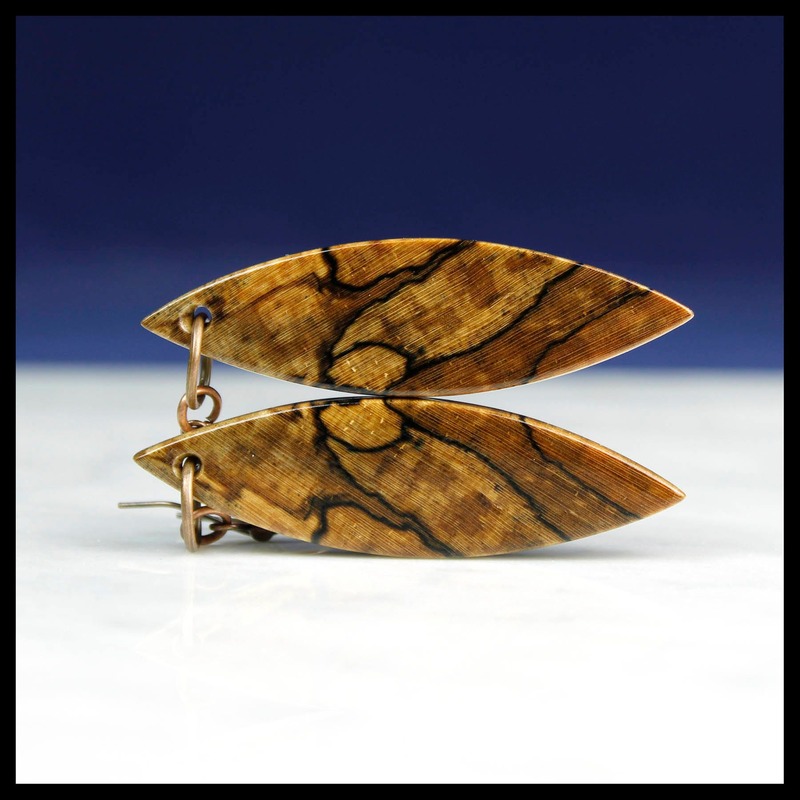 • The earrings you see above are the exact pair you will receive, this is a one of a kind listing. 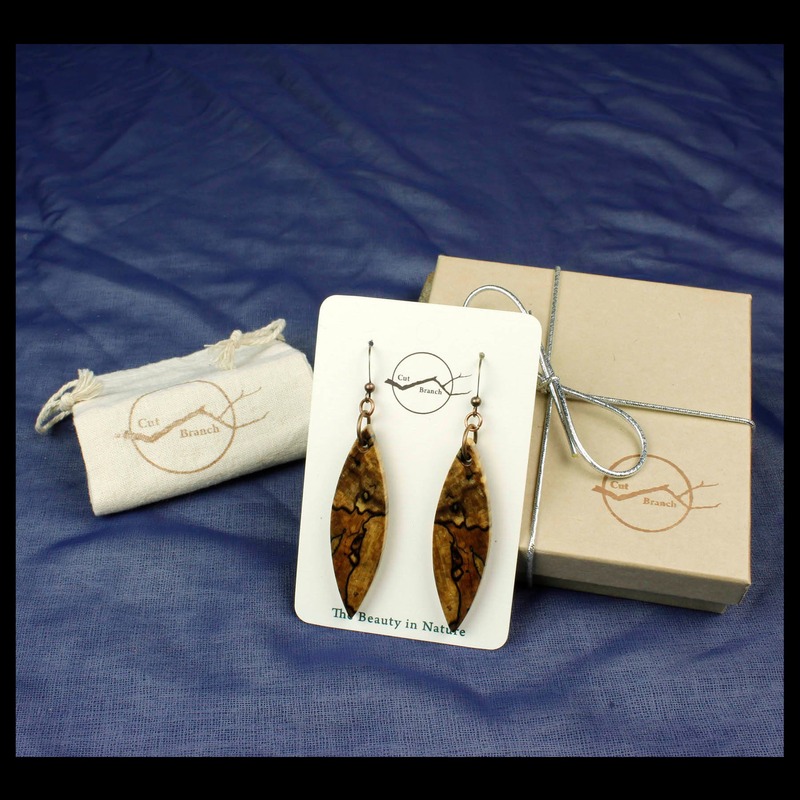 • Earrings come in a gift box ready to be gifted. 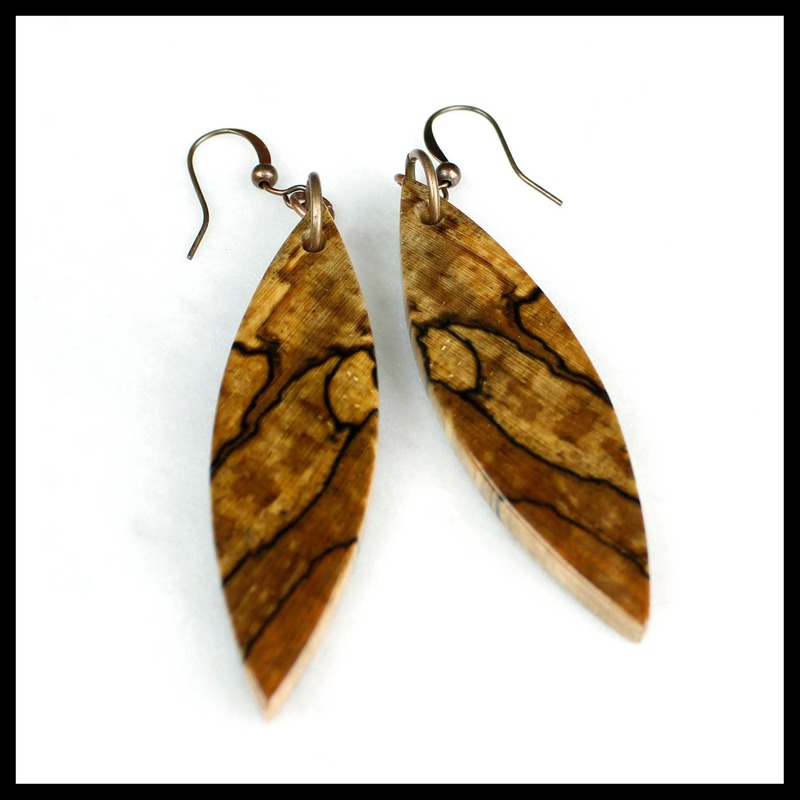 We use a variety of reclaimed wood species in our handmade earrings. All wood is collected by us from local sources. We do not purchase exotic wood that must travel thousands and thousands of miles just to reach us, it is no longer reclaimed at that point. 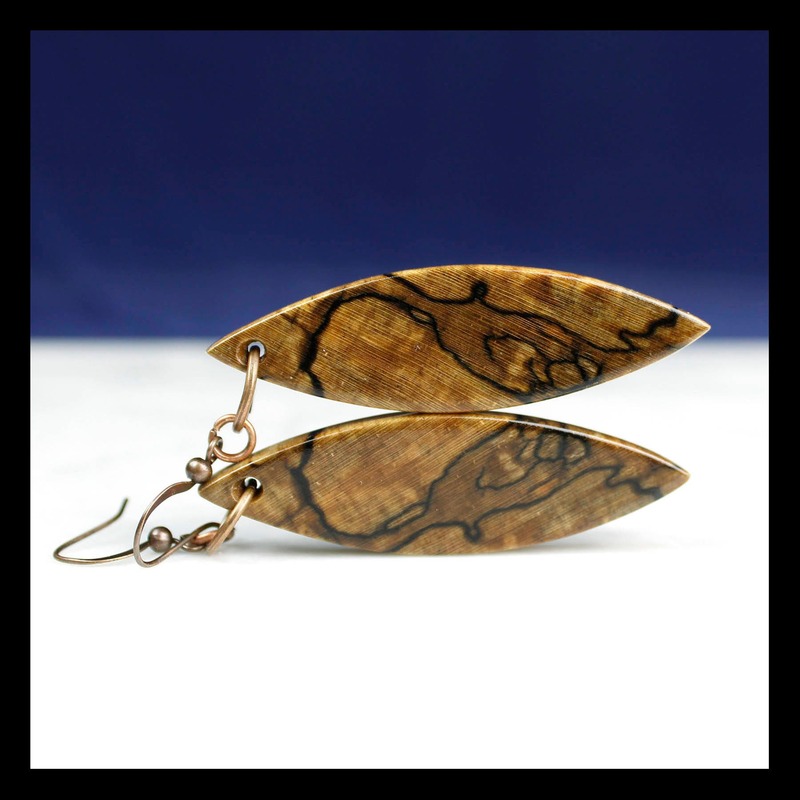 Cut Branch Jewelry is designed and made with a love of crafting, creating and discovering. Developing something new and exciting using common methods is something we both enjoy and look forward to every time we set out on a project. • You Can Find more of our amazing jewelry here. •PLEASE DOUBLE CHECK YOUR ADDRESS. We will make small corrections (misspellings, abbreviations) to addresses based on USPS address verification. You can verify that your address as entered into ETSY is USPS friendly at the USPS website. Free Shipping when made available on certain items will apply to United States domestic shipping only and will be sent via First Class Package mail. Shipping upgrades are available at buyers expense. US Domestic Orders are shipped USPS First Class mail when package weight allows, you may select the faster USPS Priority shipping at checkout if you prefer. International orders are shipped via USPS First Class or Priority International. 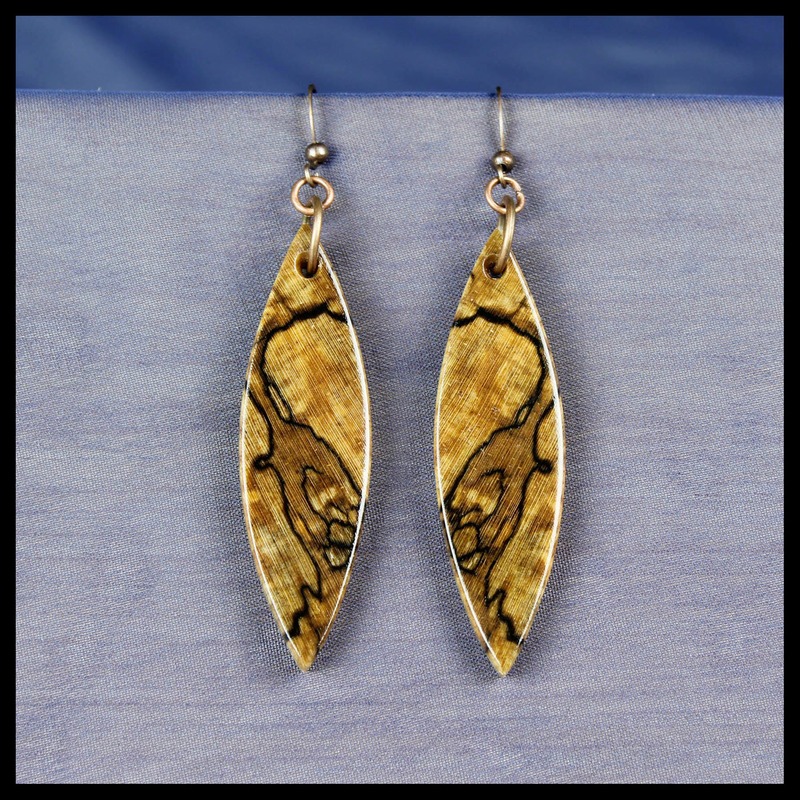 Cut Branch Jewelry is durable, but care must be taken to maintain the finish over time. Maintaining the finish is the responsibility of the buyer/wearer. Your piece comes polished and clear-coated to create a durable finish. We recommend wiping your piece with a damp or dry cloth to clean it. 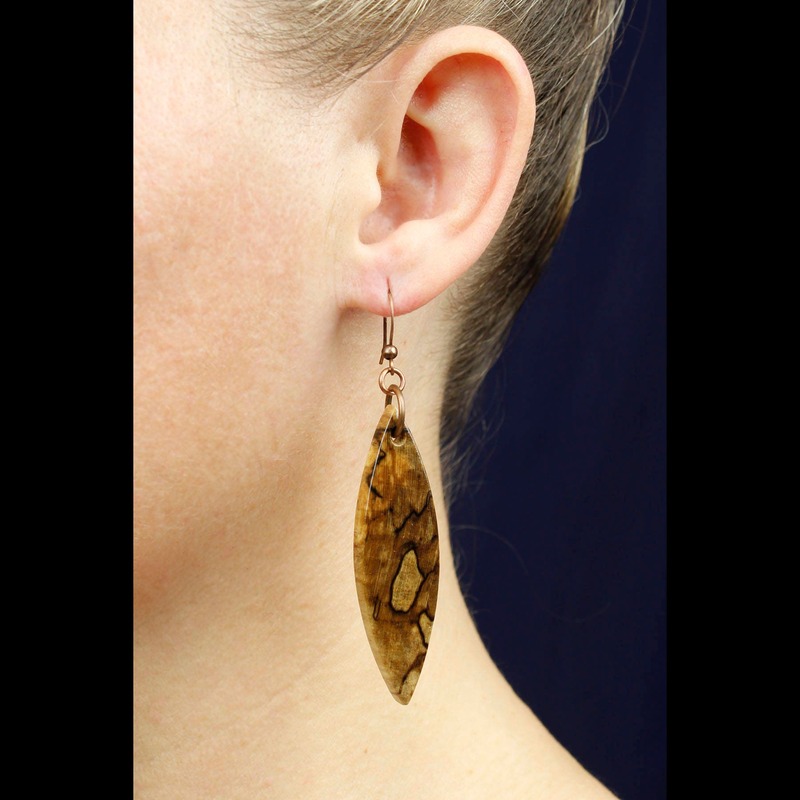 We do not recommend our pieces be worn in the shower, pool, or in contact with any harsh chemicals/soaps or abrasives. Do not expose your jewelry to high heat. Our items are intended for adults and are not created to stand up to the rough handling of children. Some pieces may have small elements that could be a choking hazard. The buyer is responsible for any customs and import taxes that may apply. Cut Branch Jewelry is not responsible for delays due to customs or the postal system. In the rare event that your item arrives damaged due to shipping please contact us immediately and if possible send photos of the damaged packaging / item to help in filing a shipping claim. We will work with you to resolve the issue.